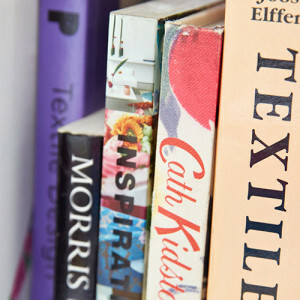 Knitting Up North | Looking for a studio share? Updated 14/8/14 The studio share is now no longer available, thanks to everyone who enquired. I’ve been on my own in my studio for about a month now and it’s time to face the inevitable situation that I knew would crop up sooner or later; either to find a bit of extra part time work or look for a like minded person to share my studio with. We now have 2 studios to fund in our house as well as supporting Owen whilst he starts to make again, a very exciting prospect, but it does mean him cutting down on some of his extra work. He’s a great web designer but he’s an even better designer/artist and I can’t wait to see what he works on next. So I’m exploring both possibilities equally at the moment, I’ve started looking for a little extra work which is odd seeing as I haven’t worked outside of my studio in just over 2 years now. Before that I’d worked since I was 16 but even so, going back into the ‘outside world’ would definitely take some getting used to. Also finding work may be hard especially as my work experience/references go way back to 2010 when I worked for the library service. The other possibility, a studio share, is something that I’d always considered, in fact I’ve shared a studio for the past 2 years, but then again that was with my husband so it’s slightly different ;) The reason it’s a little more difficult is that I’m wondering how easy it is to find another eco printer who is looking to share a studio? Here is what I have; a 70 sq. metre studio space at Yorkshire Artspace in the centre of Sheffield. It has a 8.5m professional textile printing table so would suit a textile printer looking to print either small or by the metre fabrics. A washout booth big enough for large full metre screens and pressure washer. 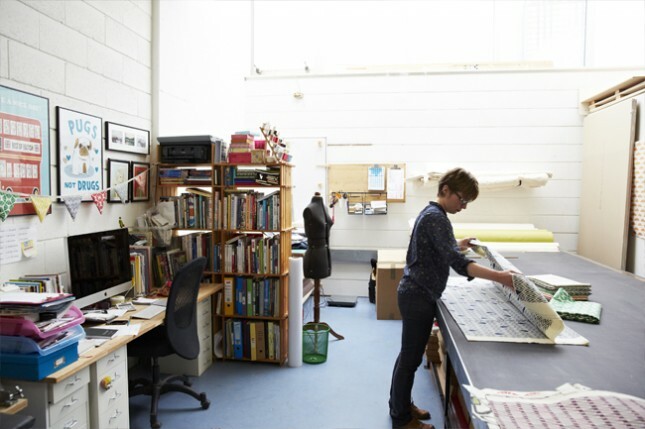 Plus extras such as a cutting table and space to mix inks, the studio also has great light plus an overhead fan and heating system which is great for drying fabrics. I also hope to add an exposure unit to the space over the next year. There would also be benefits for someone who has until now not been able to order larger amounts of eco fabrics or supplies, as doubling up with another maker would make this easier. I’m an eco textile printer so there are no harsh chemicals or solvents used in my studio, ideally I’d like to keep it that way so I’d be looking to share with someone who works in a similar way. Also it would have to be someone who was dog friendly as my life is shared with an adorable but ageing and increasingly blind pug who tends to bump into things and people occasionally. She spends most of her day sleeping under my desk. Plus my husband pops in to use his computer in my nice clean metal free environment ever now and then (he’s a silversmith based in the same building). The building houses around 70 artists, we have our own secure access 24 hours a day, no parking though I’m afraid (although we sometimes have a spot at the weekends) and we have wonderfully helpful office staff who work Mon-Fri, plus access to a meeting room for meetings. Post can be delivered in working hours and is kindly taken in by the office staff.